As the 2018 budget is announced by the Chancellor of the Exchequer, Phillip Hammond, some new developments come to light. Phillip Hammond is set to essentially undercut payday lenders with the introduction of his new scheme of no-interest loans. These are going to be offered to around 3 million people in the UK to help them to pay off any debt left by the likes of high-cost credit, such as payday loans. 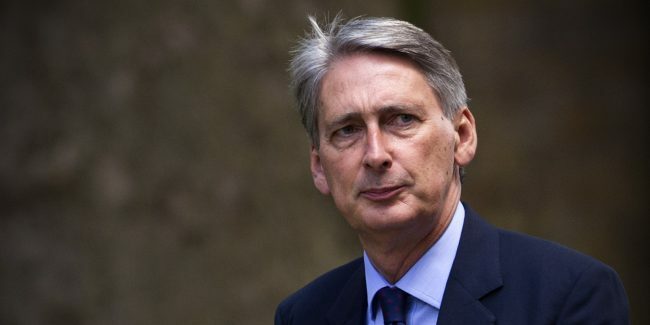 In addition, Phillip Hammond will introduce changes such as road tax being ring-fenced to pay for a £30billion refurbishment of Britain’s motorways and A roads. He is also going to be shelving a 3.5 per cent rise in beer duty which would have put an extra 4p on a pint. There is set to be no increase in fuel duty. The Chancellor will not just introduce this scheme, but he will also be pairing up with banks, lenders and debt charities to help run the scheme smoothly and with full corporation form those it will impact. In order to aid this, they will be getting £2million of Whitehall cash which will go towards designing the no repayment plans to defeat the illegal loan sharks, hopefully driving them off the scene completely. Tech companies will also be allocated funds in the form of grants to help develop new, low cost alternatives. The scheme acknowledges the role that short term loans play in society, but aims to offer a manageable solution to help those caught in a debt cycle that they cannot get out of. Inspiration for this scheme can be attributed to, in part, an Australian scheme which was similar. The treasury has stated that the Australian scheme helped four out of five of those who took out the no-interest loan in order to stop the cycle of payday loans. Therefore, Britain thought it best to trial such as scheme after the success seen in Australia. These changes have been welcomed by many campaigners, but also some believe they do not go far enough. MoneySavingExpert founder Martin Lewis has expressed his delight at the introduction of this scheme. He often speaks on the topic of payday loans with high-credit, sharing his frustrations about the immorality of them. Labour MP Stella Creasy stated that she was happy with this development, but urged the ministers to go further by introducing an interest-rate cap on all forms of borrowing. This, she said, would help to prevent people from getting themselves in such financial problems in the first place. Shadow Chancellor John McDonnell made clear he believed that this was farcical from a Government which has overseen the rise in high-cost problem credit on an industrial scale with the likes of Universal Credit. Universal Credit has been driving low income households into debt, so he claims. The Bank of England shared their worries about the rapid growth in personal borrowing on credit cards, loans and car finance – returning to levels last seen before the financial crisis. Therefore, the introduction of this scheme is welcomed as it acts as a better alternative to personal borrowing when the person cannot afford to pay it back.